New EPA Software for End Point Assessment Organisations. 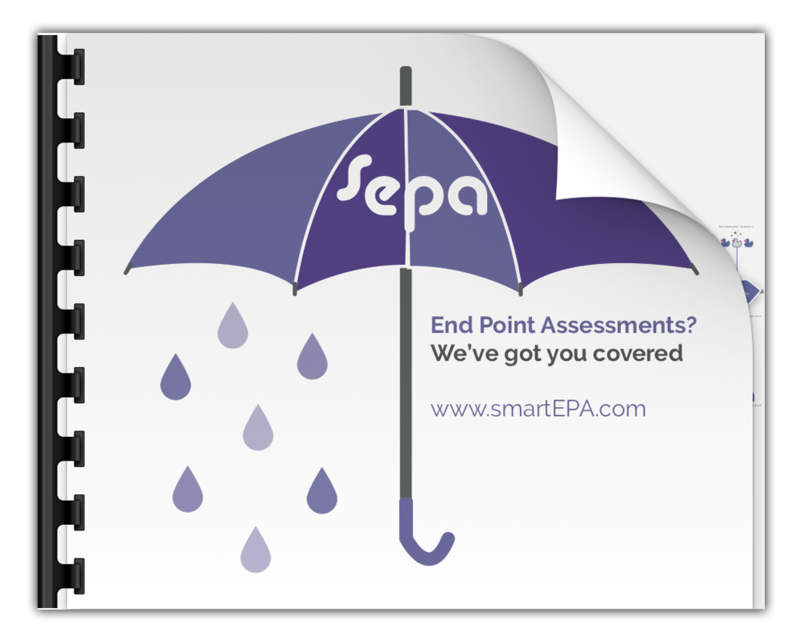 Purposely designed for end point assessment organisations (EPAO’s), Smart End Point Assessment (SEPA) is the first to market solution to manage the end-to-end process for End Point Assessing. Widely regarded as the technology experts in the sector, SEPA provides EPAO’s with a robust process for End Point Assessing. With features such as Integrated Web Conference Rooms, managing conflicts of interest and standardisation, SEPA will not only safeguard your reputation as an EPAO, it will reduce administration costs and travel time, ensuring that you are audit compliant and giving you competitive advantage. The move to independent end-point assessment at the end of the apprenticeship programme is probably the most important reform in the changes underway for apprenticeships. At the end of an apprenticeship, the apprentice will be signed-off by their employer as ready for a final assessment of both their knowledge and their practical capabilities. The end-point assessment must show that they can perform in the occupation in a fully competent, holistic and productive way. Also the assessment must be graded and the assessment company and assessor must be independent of and separate from the training provided by the provider and employer. In some ways it can be thought of as similar to a driving test, but one which assesses ability to drive as competently as an experienced driver across a variety of road conditions. A test that results in a good, pass or fail grade. SmartEPA will return at least 500% more than your investment. A staggering £125,000 saving on just 1000 End Point Assessments you complete. Get in touch today and we will help you prepare your cost benefit analysis. These could involve multiple-choice tests and be administered on paper or online – see SmartVLE for online knowledge tests. Smart End Point Assessment – technology provided by Smart Apprentices. Smart Apprentices is a an award winning, innovative suite of technologies purposely designed for approved training providers delivering apprenticeships and end point assessment organisations.